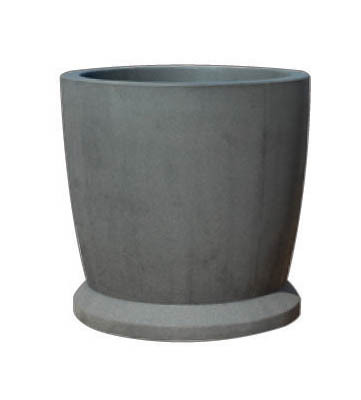 A variety of plants, trees or flowers can be added to this 36" x 36" round concrete planter to enhance your landscape & provide security. Made of precast concrete reinforced with steel rebar. Available in a variety of colors & finishes to match your company colors and landscape. Adding flowers and plants to your commercial environment provides a welcoming appearance to your park, school, or shopping center.